1950 World Cup would be the tournament that would bring everyone together after the grueling and bloody World War II was finished. During this time most European Countries worked on rebuilding their war torn cities so the hosting of this 1950 World Cup went to Brazil in particular. As a matter of fact Brazil was the only candidate to host this 1950 Football World Cup. 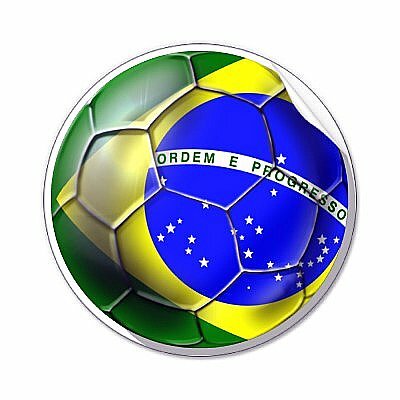 Brazil proved to be a great choice for hosting the 1950 Soccer World Cup after a long pause of 12 years. Soccer had rapidly gained popularity in this Country and by World Cup 1950, Brazil grew into a powerful soccer nation that was also the favorite to win the 1950 Soccer World Cup trophy. During the 1950 World Cup in Brazil, FIFA also announced that the future tournament champions would receive what is known today as "Jules Rimet Cup". This marked the Jules Rimet 25 year anniversary as the FIFA president. 1950 Soccer World Cup would also have a strange schedule with teams withdrawing from the tournament for various reasons after the draw. World Cup 1950 had the most spectacular final played in front of more than 200,000 people which is also a record that still stands today. Brazil wanted to do something historic for this event so they built the stadium that held over 200,000 fans and named it "Maracana". That same stadium also shattered Brazil's dreams of becoming the 1950 World Cup Champion for the first time in their history after loosing to Uruguay during a spectacular final. It is important to mention that 1950 Soccer World Cup Champion was not decided in the final but by points earned in the final group. Point system used until 1990 was 2 points for a win and 1 point for a draw. England, Italy, Spain, Sweden, Switzerland, Yugoslavia, Mexico, USA, Bolivia, Brazil, Chile, Paraguay, Uruguay. This World Cup 1950 held in Brazil was not decided with the final but rather with the final group and points earned. As you can see above Uruguay was first and Brazil second which makes Uruguay this years champion.